It may even be impossible. Each day more planets are being discovered outside of our Solar System that are about the size of Earth and located in the so-called habitable zone of their host star; meaning they are at a distance that would allow liquid water to be stably present on their surface. The most recent of these discoveries to be announced is Kepler 186f, a planet circling a red dwarf star at a distance of about 500 light years from Earth. Intriguingly, that star has at least four other planets, but all the others are too close to their central star to allow benign temperatures suitable for life. 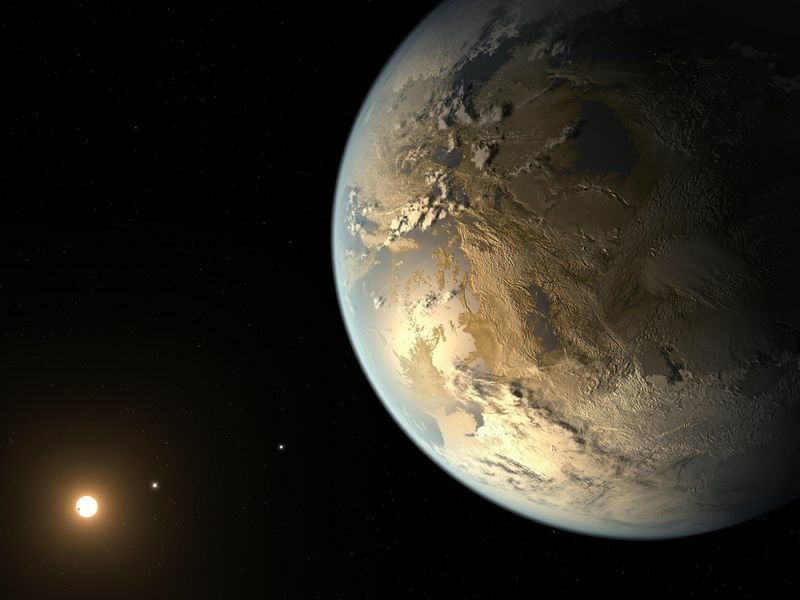 Being the right size and at the right distance, does this mean Kepler 186f is habitable? No, much more is required for that. Our Moon is in the habitable zone around our Sun, yet it’s a dead rock. On Earth, habitability is partly due to an atmosphere that ensures a modest temperature range, plus plate tectonics to allow nutrient cycling, a magnetic field that protects us from cosmic radiation and the atmosphere from solar wind stripping, and the presence of a Moon to stabilize Earth’s spin, among many other factors—most of which we cannot observe on a distant exoplanet with our current remote sensing technology. Confirmation of extraterrestrial life will likely involve looking for biosignatures, or characteristic features that can only be produced by biology. A commonly discussed biosignature, which could conceivably be detected by remote sensing in the near future, might be a chemical disequilibrium within an exoplanet’s atmosphere. Taking Earth again as an example, our atmosphere holds both oxygen and methane; both compounds are only present because they are continuously replenished by life. Without life, they would react with each other, and carbon dioxide would be the end product. So if we find this same chemical disequilibrium on another planet, it has to be biological in nature, right? Not so fast, claim Hanno Rein and two co-authors from the University of Toronto in a new paper published in the Proceedings of the National Academy of Sciences. Even making optimistic assumptions about our ability to resolve spectroscopic detail on exoplanets, solid proof of a biosphere is probably beyond our reach in the foreseeable future, they argue, because we won’t be able to separate the planet’s spectral signature from that of its moons. Where does this leave us? Confirming a biosphere on exoplanets based just on remote observations will be incredibly difficult, maybe impossible, in the near future. We will only know for sure if we send a probe, or if the planet has technology advanced enough to send out signals.